Cameras Downunder Gallery - 35 Millimeter/Aires 35 III L. Camera. Aires 35 III L. Camera. 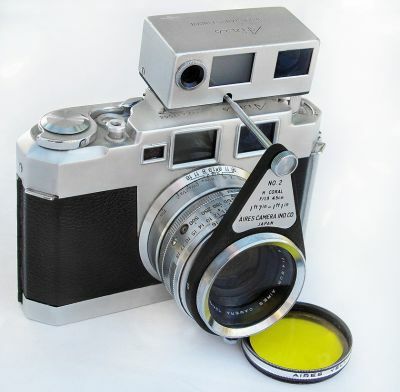 Aires-35 III L. 35mm C.R.Finder Camera, with Accessory close up Rangefinder.